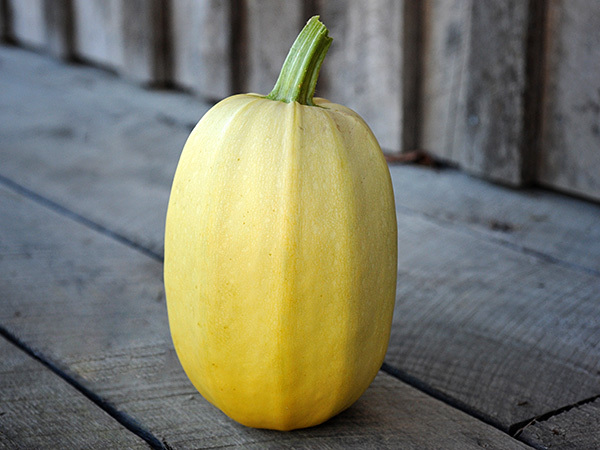 Also known as Soumen Kabocha (noodle squash) and Kinshi, or Kinshuri (yellow golden squash). 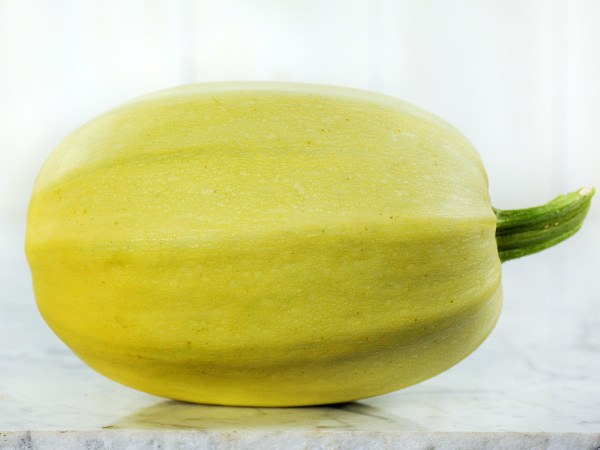 This Japanese strain of this incredible squash introduced by Sakata Seed Company of Yokohama, Japan. It produces wheat-free, low-carb noodles in abundance on productive vines. 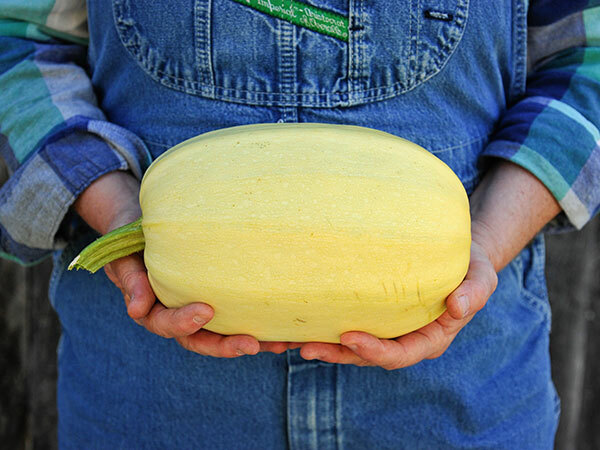 According to some sources, Sakata Seed Co. in Japan developed an improved strain of a Chinese spaghetti type squash. It is said that Burpee picked up this seed and began selling it as Vegetable Spaghetti in 1936. In Japan, spaghetti squash is most commonly called �Somen Kabocha� or �Kinshi Uri.� Somen means skinny noodles and Kinshi means golden thread, and it is very popular to eat the �noodles� cold during the hot summer. The book Sosai Engei Zuhen (1951 by Jyouji Togashi & Suteki Shinohara) states that the spaghetti squash originated in China, some say in the 19th century. Sakata Seed Co. was founded in Yokohama in 1913, and there are records showing they were importing spaghetti squash to N. America prior to 1921. Much of the paperwork before the war was lost in the Yokohama great air raid, and there are no documents remaining to definitively answer where their squash originated. What we do know is that the Japanese have been growing this squash for over a hundred years, and people on both sides of the world have been enjoying it for at least that long! 85 days.